You trusted the doctors and hospitals. That is why no other injury or death is more devastating than those caused by healthcare providers. When your trust is violated and you or someone you love suffers, you are devastated and confused. You want answer, but no one wants to talk to you and tell you what happened. They tell you a story that does not make sense. They tell they are sorry, but you want to know the truth. As many as 98,000 people die every year in hospitals from preventable medical errors at a cost of up to $29 billion. The civil justice system serves as a valuable deterrent to malpractice and a powerful motivator for patient safety. Medical and hospital malpractice cases are difficult, and many lawyers who take these cases do not have the experience or expertise to take on doctors, hospitals and their seasoned defense lawyers. Kelly Liebbe has the experience, knowledge and expertise needed to get answers and justice. Kelly Liebbe has successfully handled multimillion dollar medical and hospital malpractice cases since 2007. Lawyers as well as doctors across Texas refer their patients and families to her. 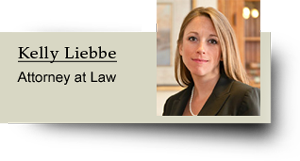 For over ten years, Ms. Liebbe gained experience in the courtroom and at the appellate level practicing almost exclusively medical malpractice. She is recognized as a Texas Rising Star 2010 and 2011 a Thomson Reuters Service, printed in Texas Monthly Magazine. She is a member of the Dallas Bar Association, American Bar Association, Dallas Trial Lawyers Association, and American Association of Justice. She was a member of the Pro Bono College of the State Bar of Texas 2008 and College of the State Bar of Texas in 2009. If you feel you were a victim of medical negligence, call my office at 214-935-9553.